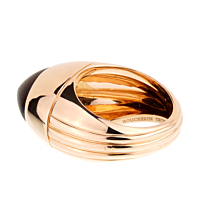 The production of this chic limited edition rose gold wood ring from Boucheron was limited to 26 pieces. 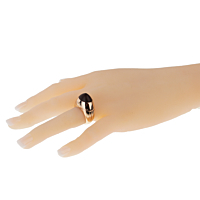 The centerpiece is oval wood stone surrounded by a wide, oval 18kt rose gold band. 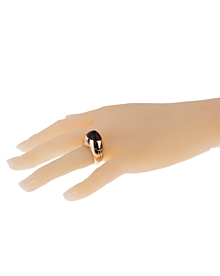 The high polished band, with a ribbed design, diminishes in size as it wraps around.